The decision by Britain’s electorate to leave the European Union will have monumental consequences for the future world order. Ian Bremmer, the respected geopolitical analyst and head of the Eurasia Group consultancy, tweeted thus, “Brexit is the most significant political risk the world has experienced since the Cuban Missile Crisis.” Stock markets are withering, the British currency is plummeting and Prime Minster David Cameron has announced his resignation, as the economic and political aftershocks are only beginning to be comprehended. However, it is the geopolitical tremors that will have the most far-reaching impact globally. That includes the United States, which is in the midst of an increasingly vitriolic and divisive presidential campaign. What has stunned observers about the outcome of the Brexit campaign is that the referendum’s result ran counter to what the analysts, supposed expert prognosticators and well-compensated pundits had so confidently predicted. The established experts had even convinced supporters of Brexit that they would likely lose the referendum, in the hours before actual voting occurred. That is why bourses across the globe soared, and the British pound reached record highs, until reality radically reversed those trends. The odds-makers clearly were convinced that British voters would choose to remain in the European Union. The actual, unpredicted outcome was an unmitigated defeat for the UK’s political establishment across the political spectrum, and that aspect has the greatest resonance with the battle between Clinton and Trump to succeed Barack Obama as America’s 45th President. Just as with the Brexit referendum, America’s own class of political consultants and expert commentators for months assessed Donald Trump’s presidential campaign to be a megalomaniacal joke, with no chance of prevailing in the Republican Party’s presidential Primary. When Trump emerged victorious in the GOP presidential selection process before Hillary Clinton had secured the Democratic Party’s nomination, the same experts, rather than being reflective and self-critical, have largely double-downed on failure, and remain steadfast in their prediction that Trump has no realistic possibility of winning November’s presidential election. Setting aside the occasional diatribes of Trump that tend to obfuscate a cogent analysis of his campaign’s actual strength, it is clear that the political dynamics that led to the stunning vote in the United Kingdom to exit the European Union are also at play in the United States, to the benefit of the real estate mogul. The British electorate revealed itself as being alienated from their nation’s political establishment, with public policy on immigration a crucial driving force in shaping attitudes prior to the Brexit vote. In the U.S. Primary campaign, similar forms of disenchantment underpinned Trump’s ability to vanquish his GOP competitors. 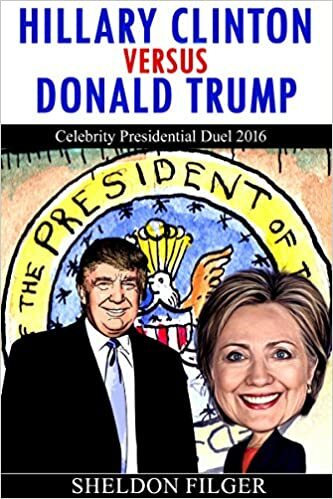 In November 2016 American voters will choose between one candidate being the quintessential representative of the discredited and abhorred political establishment, and the other candidate powerfully branded as the ultimate anti-establishment figure. The legion of America’s political experts who, despite evidence that the domestic electorate seeks change in 2016, remain fixed in their view that Trump cannot win, may prove, as with their British counterparts, to have been unduly confident in the validity of their political estimates on the mood of the voters. It should be recalled that to keep pace with population growth, the American economy must add at least a quarter of a million new jobs each month. If the result of a dismal 38,000 jobs in May is a supposed decline in the unemployment rate in the U.S., the only explanation is that many discouraged job seekers have supposedly “left” the work force, meaning that they are no longer considered by the Labor Department to be unemployed. The jobs report for May, a disaster by any definition, explains the official and unofficial realities of the U.S. economy in 2016. The Obama administration maintains that the employment situation in the country is excellent; the data , devoid of spin, displays the exact opposite.